... our destination (as was) is in the snap to the left. I sense a period of serious re-adjustment on the immediate horizon! ... here's a snap of some wonderful "Allotment Agapanthus"
You can read a bit more about the flower here. ... taking place on the evening of Monday 31st August this year. All the details can be found via this link. ... and the papers/reports are now in the public domain: the main Agenda can be found here. 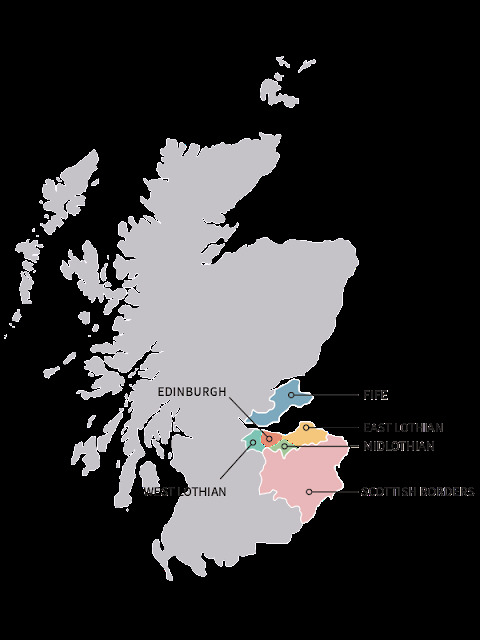 The 'Edinburgh and South-East Scotland City Region' comprises six local authorities. 24% of the Scottish population live in this part of Scotland. 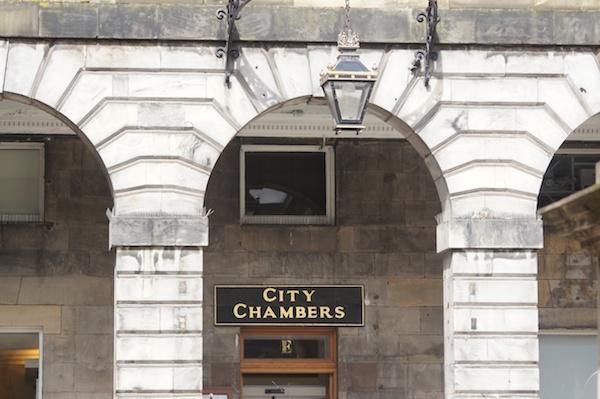 The six local authorities that make up the 'Edinburgh and South East Scotland City Region' are working collectively on a bid to the Scottish and Westminster Governments for a City Region Deal. The City Region Deal is a mechanism for accelerating growth and investing in success. By investing in infrastructure, skills and innovation we will create a step change in economic performance, which will generate funds to pay back this initial investment. It is also about greater autonomy and decision making powers for the region to make public service delivery more effective and to tackle inequality and deprivation across the region. 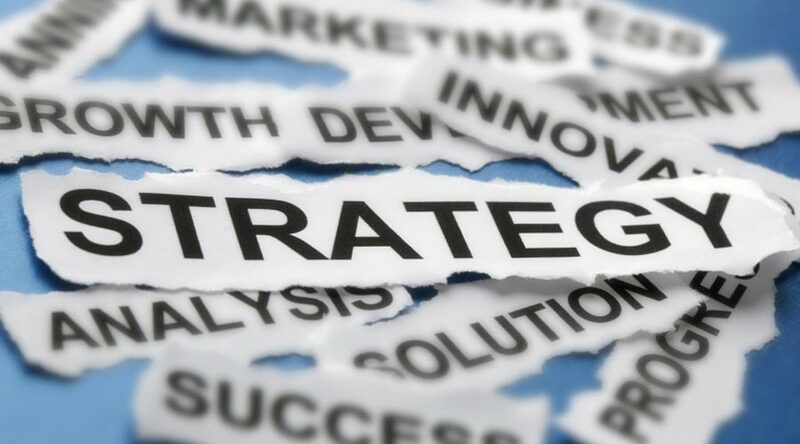 Our ambition is to secure £1bn of funding and it is estimated that an additional £3.2bn worth of private sector investment could be leveraged if the bid is successful. ... and just last week, a News Briefing was held (some detail here) flagging-up that a long term vision of the region’s economy will be presented at a Business Breakfast tomorrow (Monday 17th). And a new City Region Deal website is now available here - do keep an eye on it over coming months, and please do sign-up and you'll be kept informed of progress: many thanks! Early indications from the Scottish Qualifications Authority are that 2015 has been another positive year for exam results in Edinburgh. It's a real achievement to have not only sustained but built on the successes of last year. Our pupils should be very proud of themselves - all their hard work has certainly paid off and praise should also go to parents and carers who have supported their children over the past year. I also want to congratulate all our teaching staff on their commitment to delivering learning experiences of the highest standards, particularly given the introduction of the new exams. We are committed to making sure all school leavers enter a positive destination of employment, training or further education. This year a record 93.1% of young people achieved and sustained a positive destination through initiatives such as the Edinburgh Guarantee. Our new Chief Executive, Andrew Kerr, began work on 27 July. He joins us from Cornwall Council, succeeding Dame Sue Bruce who retired following 40 years of public service. It was clear from the recruitment process that he had the qualities required to take on the role and I look forward to working closely with him to ensure the continuing success of our city. Andrew brings significant experience of leading and delivering change in the public sector and has achieved recent success in securing a Devolution Deal for Cornwall - all of which is very encouraging as he moves into his new role. This Monday, 17th August, the Edinburgh and South East Scotland City Region - comprising ourselves, East Lothian, Fife, Scottish Borders, Midlothian and West Lothian Councils - will be hosting a business breakfast at the EICC. We will be encouraging business leaders to pledge their support for our proposed £1bn city deal, designed to accelerate growth across the region. It is important that we align our ambitions with the business community and we want to keep them fully involved in the process. Congratulations to the team at the Usher Hall, who this week reported a record-breaking year, with bumper ticket sales of £2.7m and total income breaking the £4m barrier. The council-run venue has seen an increase in both sales income and events held at the venue during 2014/15. Fitting, then, that our premier concert hall should play host to the Harmonium Project, the quite stunning launch of this year's Edinburgh International Festival - Director Fergus Linehan's first programme. Running until 31 August, the Festival welcomes 2,300 artists from 39 nations to perform in the city. Not forgetting, of course, the irrepressible Fringe, our biggest yet, and the International Book Festival, which promises to take us 'around the world in 18 days' - opening tomorrow (15 August) in Charlotte Square. A new ICT contract, approved last week, is set to transform our services and save a minimum of £45m over the next seven years. It will also deliver an estimated £46m worth of essential services at no extra cost. Our preferred bidder - CGI - is one of the largest independent suppliers in the world and bring vast experience of transforming ICT services and accelerating channel shift, which will be hugely important in supporting our objectives for change. Our schools will benefit greatly with bandwidth in secondary schools set to increase by up to 50 times, and primary schools by up to 100 times. The contract will also create over 200 jobs locally, plus over 60 new modern apprentice opportunities. Leith Walk constituents are being asked to elect two councillors on 10 September - a Scottish first. The by-election will use the Single Transferable Vote (STV) system, where voters use numbers to rank candidates in order of preference rather than using a single cross. Voters can express 'preferences' for as many or as few of the candidates as they wish. If this is your ward, I would urge you to have your say on who represents your interests locally. You have until Tuesday 25 August to register to vote or apply for a postal vote for the by-election. Contact the Electoral Registration Office or phone 0131 344 2500. As Chair of the Edinburgh Partnership, I am pleased to introduce our new three-year Edinburgh Partnership Community Plan 2015-18. Central to the plan is our vision for Edinburgh to be a thriving, successful and sustainable city in which all forms of deprivation and inequality are reduced. It has been informed by feedback from communities and partnerships across the city, underlining the Board's commitment to working with partners across the public, private, community and third sectors to plan and deliver better services and improve the lives of local people. Exam results out today --- considerable family interest again this year! --- the relevant Edinburgh News Release is below, with some encouraging early statistics. And excellent general advice from Young Scot; available here, and the many links therein. 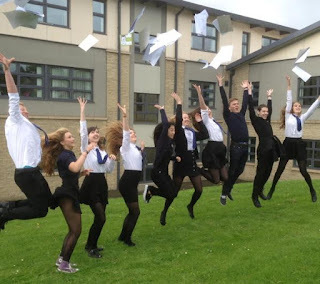 The anxious wait is finally over for thousands of pupils across Edinburgh as they received their exam results today (Tuesday 4 August). 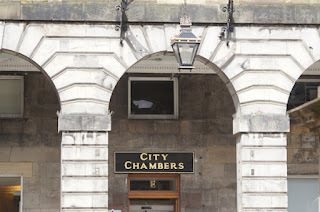 Early indications are that candidates have once again improved on their performances in many areas from last year and that the overall good performance of City of Edinburgh Council schools has been maintained. A total of 40,425 resulted awards were certificated for 8,120 candidates (includes special schools, adults and mainstream secondary schools). By the end of S4 39% of the roll achieved five qualifications at National 5 Level which is an increase of over 1% from last year. Across the city there were 17,700 presentations for National 5 courses (pass rate A-C of 80%). By the end of S5 58% of all pupils achieved one or more Highers – a 4% improvement on last year and a 16% improvement since 2009. Across the city there were 6,354 presentations for the revised Higher (pass rate A-C of 77%) and 4,693 for the new Curriculum for Excellence Higher (pass rate 82%). By the end of S6, 63% of the S4 roll achieved one or more Highers – a 2% improvement on last year and a 15% improvement since 2009. Overall for S4 pupils 1,325 awards were certificated at SCQF Level 3, 6,779 awards were certificated at SCQF Level 4 and 13,562 awards were certificated at SCQF Level 5. Education Convener, Councillor Paul Godzik, said: “Early indications from the SQA exam results show that 2015 has been another really positive year for our pupils which is really encouraging . It’s a real achievement to have not only sustained but built on the successes of last year. “I also want to congratulate all our teaching staff on their commitment to delivering learning experiences of the highest standards especially given the introduction of the new exams. Our pupils should be very proud of themselves too – all their hard work has certainly paid off and praise should also go to parents who have supported their children over the past year. Councillor Cathy Fullerton, Education Vice Convener, spoke to pupils and parents this morning at Craigmount High School where Minister for Education Angela Constance, Cabinet Secretary for Education and Lifelong Learning paid a visit. All candidates will receive their results by means of the traditional postal delivery on Tuesday 4 August. Those candidates who have activated their MySQA accounts, through which they can choose to receive their exam results by text in addition to their results certificate, will also receive these by 9am on Tuesday 4 August. 1. This is provisional information at this early stage with no national or comparator information available. The changes in qualifications and in the wider education system as a result of Curriculum for Excellence continue in academic session 2014-2015. There was a mix of the current National Courses (Access, Intermediates, Highers and Advanced Highers) and the new National Courses (National 2 to National 5 and New Highers) as well as Skills for Work Awards and National Certificates taken by candidates. The changes both in the type of qualifications available and in the wider education system as a result of Curriculum for Excellence continued in 2015 with the introduction of the new National Highers. The different types of qualifications taken together with the different approaches to delivery mean that attainment patterns across SCQF levels will vary from those seen in previous years and will make direct comparisons of attainment over time extremely complex. The new Senior Phase Benchmarking Tool called ‘Insight’ has replaced STACS (Standard Tables and Charts) in order to provide a wider range of measures against which schools will be benchmarked. These will include positive destinations as well as attainment and will take into account the socio-economic backgrounds of pupils and the performance of schools against comparator schools. 5+ awards at level 3 or better - 91% (4 percentage points less than the previous year: a 2 percentage point improvement since 2009). 5+ awards at level 4 or better - 85% (1 percentage point more than the previous year a 7 percentage point improvement since 2009). 5+ awards at level 5 or better - 55% (2 percentage points less than the previous year but a 6 percentage point improvement since 2009). 1+ award at level 6 or better - 58% (4 percentage points more than the previous year and continues a five year improving trend and a 16 percentage point improvement since 2009). 3+ awards at level 6 or better - 35% (2 percentage point more than the previous year and an 8 percentage point improvement since 2009). 5+ awards at level 6 or better - 17% (1 percentage point more than the previous year an improvement of 4 percentage points since 2009). Please note that this is provisional and does not include attainment gained by partnership activity. 1+ award at level 6 or better - 63% (2 percentage points more than the previous year and a 15 percentage point improvement since 2009). 3+ awards at level 6 or better - 44% (1 percentage point more than the previous year, a continuing improving trend and a 9 percentage point improvement since 2009). 5+ awards at level 6 or better - 31% (1 percentage point more than the previous year and a 7 percentage point improvement since 2009). Advanced Highers at 1 award at level 7 - 22% (maintaining last year’s good results, and a 4 percentage point improvement since 2009). *based on the percentage of S4 pupil roll.